We’re a full service digital marketing firm that specializes in web design, pay-per-click and search engine optimization. We believe in having a good time when it comes to doing what you love, and yes we love what we do! What does that mean for you? It means more creativity, thinking outside the box (when it makes sense) and full on results. Here at 3GEdigital we make your goal our goal. We’re firm believers in tying our own success with the success of our clients. What that means is that unless we exceed your expectations we’re just not happy and believe it when we say we like to be happy! We’re very fond of saying that the only constant in the digital space is change. That’s why we’re consistently learning, evolving and pushing our craft forward. We love to raise the bar and keep raising it. What good does remaining static do for anybody? Remember when we said that your success is our success? That’s because we’re always digging. We’re always looking for ways to increase your bottom line, even if it’s outside of what we’re doing for. Bottom line: we love data and how it correlates to your bottom line. Our mothers always taught us that because we have two ears and one mouth we should listen twice as much as we talk. While that is timely advice, it didn’t originate with our mothers, instead the Greek philosopher Epictetus said it sometime before the year 135. If you’re interested in more of his quotes you can check them out HERE. We know, we know. “Why are you telling me this,” you’re thinking. The answer? We’re ready to listen. We want to hear about your next project. We want to be your partner. Even more than that though we want you yo succeed. We want YOU to be the hero. But, we can only do that if you tell us. 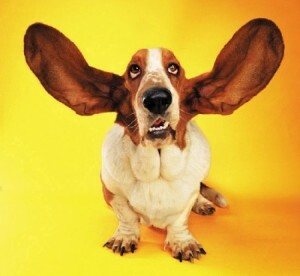 We’re ready to listen with both ears.